Rates: $ 2250 CAD per person + 5% GST for 3 to 7 guests. This day-hiking trip will combine easy to moderate hiking with plenty of time for taking pictures and capturing the fall colors. 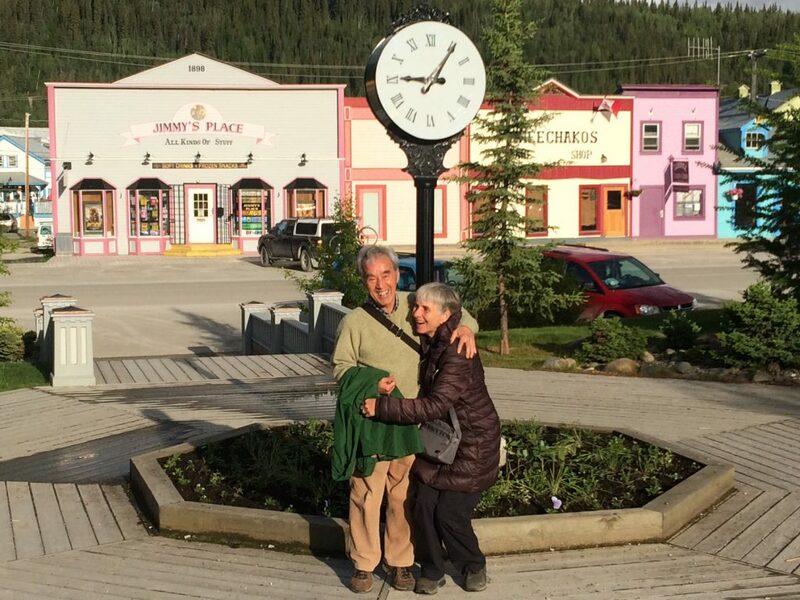 This week long trip brings us up north into the alpine tundra of central Yukon close to the Arctic Circle and finishes off with a visit to the historic gold rush town of Dawson City. Off the beaten track, your guide will lead you on mountain hikes where you will enjoy great vistas with good chances to see wildlife. 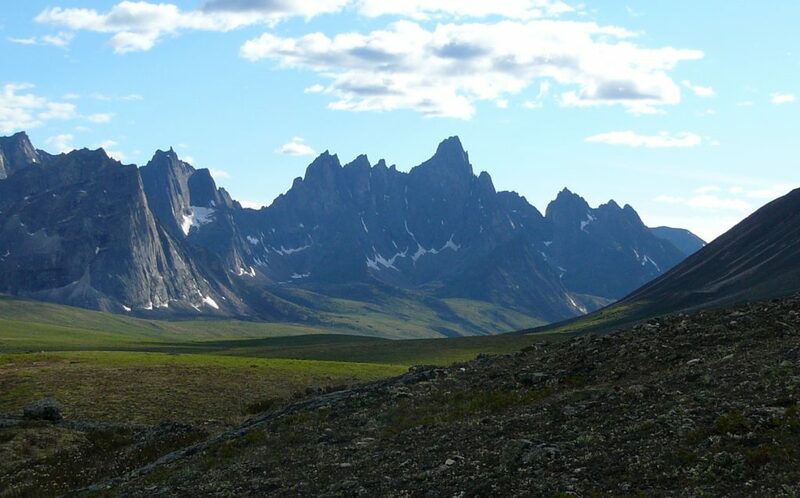 Our base camp will be at the Tombstone campground, in the heart of Tombstone Territorial Park. Hiking destinations will be chosen according to the weather and the group desires. We will have ample opportunity to observe nature, take pictures and enjoy spectacular scenery of the rouged mountains of the Patagonia of the north. The nights will be spent under a dark sky with great opportunities to capture millions of starts and hopefully also the northern lights. 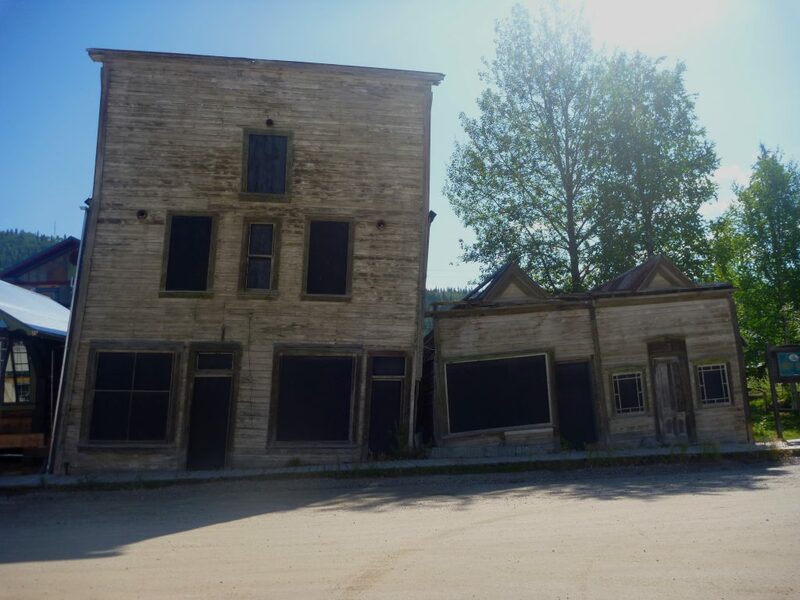 At the end of the trip we let the gold fever grab us in the stunning historic town of Dawson City. We are meeting in the afternoon for the trip preparation. Overnight in your downtown hotel. Early in the day we leave Whitehorse for the 560km drive on the North Klondike Highway through an incredible landscape. Endless vistas with great fall colors will accompany us and there are several interesting stopping points to stretch our legs. We don’t want to miss to watch the water swoosh through the Five Finger rapids on the Yukon River! 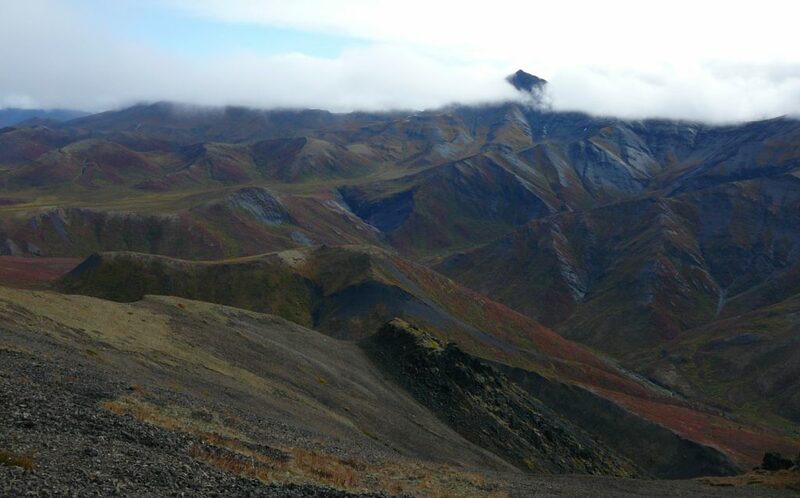 The last hour of the drive will be on the Dempster Highway, a well maintained gravel road, which bring us up into the rugged Tombstone Range. At the campground we pick a campsite and set up camp for the next few days. The Interpretive Centre invites just a short walk away. The campground offers spacious campsites, outhouses, fresh water, tables, benches and a fire pit. If the weather turns chilly on us, we can use the cooking shelter with its woodstove to warm up. We will be sleeping in tents and cooking on the propane stove. 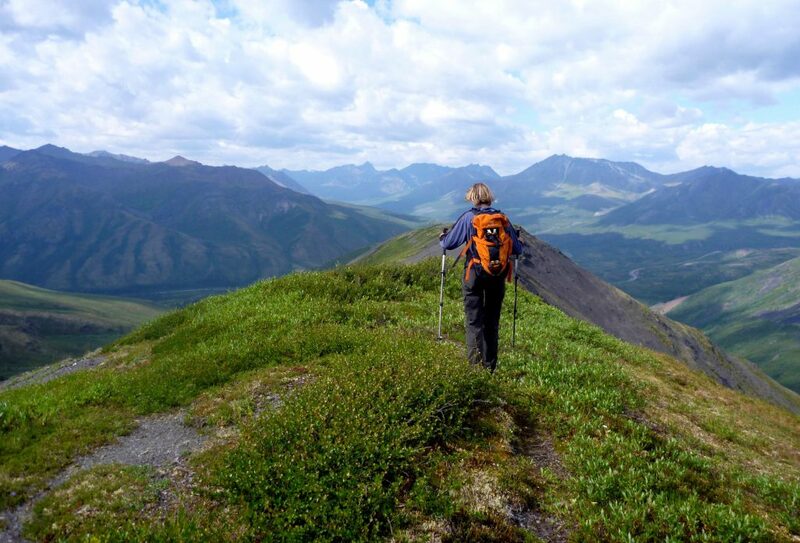 Day 3 to 5: Day hikes along the Dempster Highway. Your guide is well familiar with the different trails in the area. If the weather permits, destinations such as Grizzly Lake Trail, Angelcomb Peak, Goldensides Mountain, Charcoal Ridge or the more challenging Surfbird Mountain, Mount Audney or Fold Mountain are options. Daytrips are between 3 hours and 7 hours of length. All of the more challenging hikes will have us hiking without a trail and crossing creeks without a bridge. Wilderness pure! To reach the trail head of the different hikes we will have to drive every day for a short distance. All hikes are in the open tundra and provide great views. Wildlife is abundant but it needs some luck to actually spot them. Overnighting at the campground in tents. It is time to break camp and leave the rugged mountains behind, the gold fever is calling. A two hour drive will bring us to Dawson City. We will have the whole afternoon to explore the charming historic gold mining town. In the evening you have the choice of mingle with the locals in one of the many bars, enjoy a great dinner in on of the fine restaurants or visit the gambling hall Diamond Tooth Gerties to get the authentic Dawson experience. The brave ones may want to try the sour toe cocktail! After breakfast we will drive back to Whitehorse, once more astonished by the vast but beautiful landscape of the Yukon. Overnight in your downtown hotel. You will catch your flight home or continue your own journey. Are you interested in relaxing at a cozy cabin on a secluded lake? Our wilderness cabins are situated at Dalayee Lake, nestled in the rolling hills of southern Yukon, not far from Whitehorse. 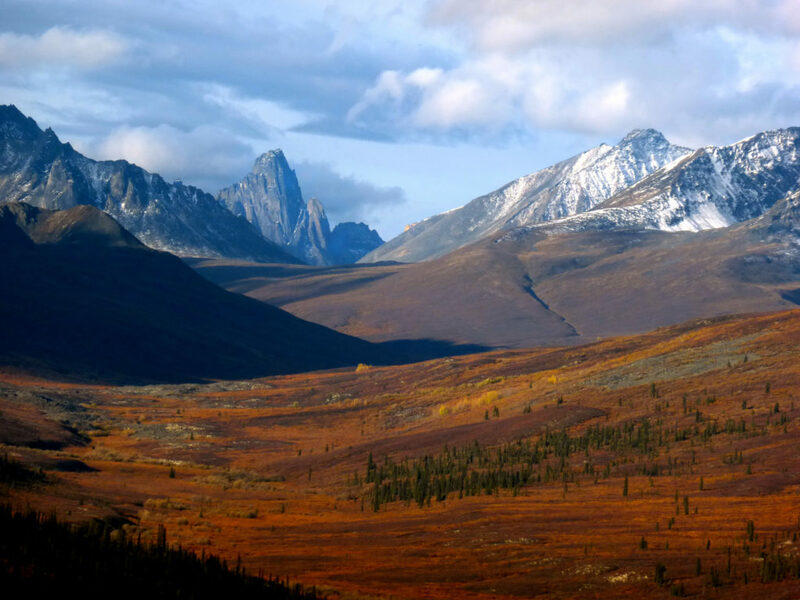 Camping is the only option if you want to stay in Tombstone Territorial Park. Nearest community is Dawson City, about 110km away. 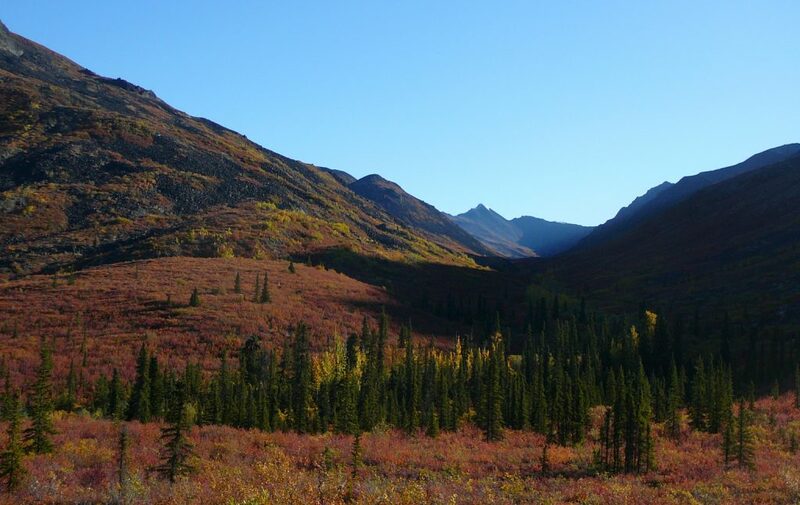 The granite mountains of the Tombstone range guarantee for spectacular vistas. Good timing for the fall colors, the hills will likely be painted in red and yellow! It is possible to see northern lights. Changes in the itinerary due to weather and trail conditions are a possibility. You will be required to sign a release of liability and waiver of claims prior to the trip. 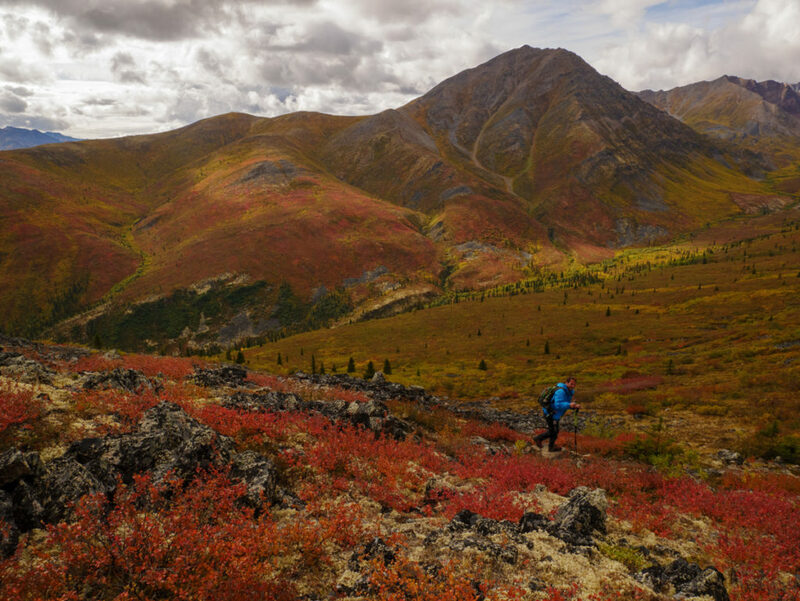 Backcountry hiking in one of the last true wilderness areas left on the planet. Easy access to the arctic tundra and mountain vistas. Study of plants and their adaptation to the environment. Great outdoor experience and enjoyment. If you would like to book this journey, have questions or special requests, let us know! We will get back to you shortly.